Cast iron feature as high carbon, fragile iron. 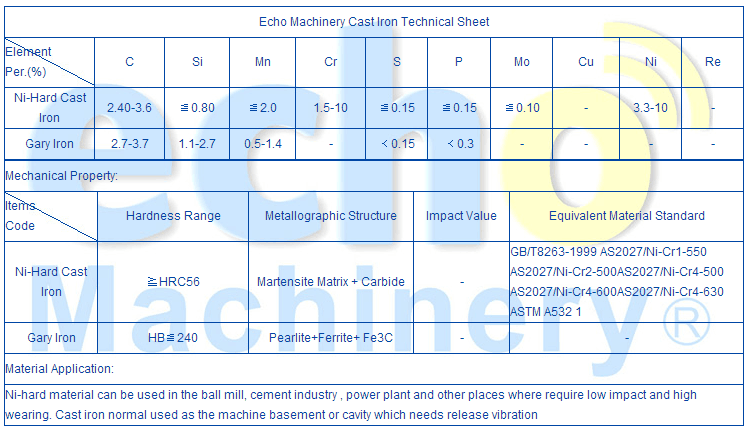 It can be used to the application in which do not request impact and vibrating force.Echo Machinery would share with you the new ADI(Austempered Ducile Iron) and CADI (Carbidic Austempered Ducile Iron) casting iron material. Below is the ADI and CADI Technical sheet.